(*Please note that this date range will be updated weekly on Fridays). If you are a YoungStar TC looking for updates on micro-grant expiration dates for programs, internal Micro-Grant program news, and more, please click here to visit the Micro-Grant TC Updates page (password protected). If you are a YoungStar TC and you have misplaced or forgotten the password to access this page please contact sherri@supportingfamiliestogether.org. Have you utilized a micro-grant? We would love to hear about what you are using it for in your program! Contact sherri@supportingfamiliestogether.org to share your experience. 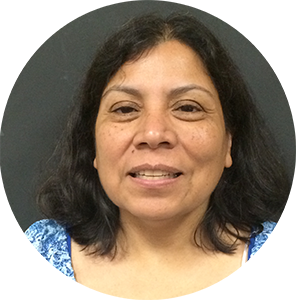 Providers in any region whose preferred language is Spanish may contact Gloria with questions/concerns regarding general information, orders, timelines or changes to a Purchase Plan. 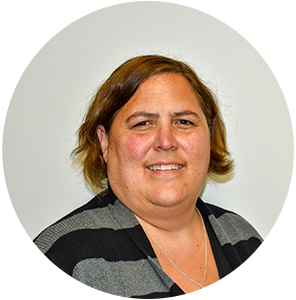 Providers in the southern and northeastern region may contact Gabi with questions/concerns regarding general information, orders, timelines or changes to a Purchase Plan. 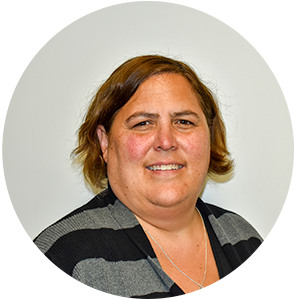 Providers in the Milwaukee and southeastern region may contact Debi with questions/concerns regarding general information, orders, timelines or changes to a Purchase Plan. 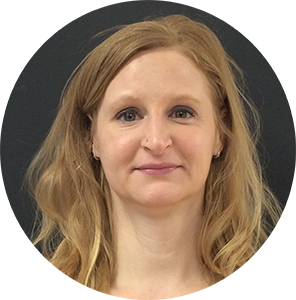 Providers in the northern, northeastern, and western regions may contact Amanda with questions/concerns regarding general information, orders, timelines or changes to a Purchase Plan. 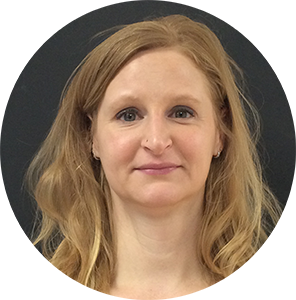 Providers in the Milwaukee and southeastern regions may contact Sherri with questions/concerns regarding general information, orders, timelines or changes to a Purchase Plan. 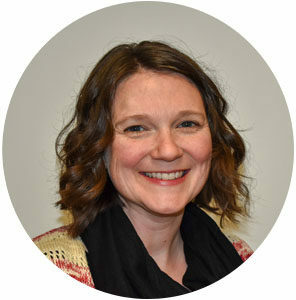 Providers statewide may also contact Sherri with questions about policies and administration of the YoungStar Micro-Grant Program. How Do I Qualify and Apply for a Micro-Grant? Every program that actively participates in technical consultation and creates a Quality Improvement Plan based on a self-assessment can apply to receive a YoungStar micro-grant. Providers can access micro-grant application forms by contacting their Technical Consultant. 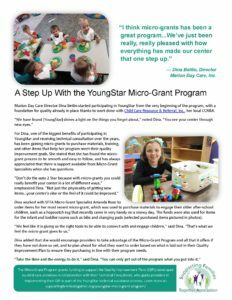 Completed micro-grant documents should be submitted to a child care program’s local YoungStar Office or to their Technical Consultant, who will then submit the documents to the Micro-Grant Program through the YoungStar Case Management System (CMS). Micro-grant requests are processed in the order received. The micro-grant staff will notify the program when documents have been received and proceed with processing the grant request. A program may receive one micro-grant per service year, as funding allows, if the program continues to meet all YoungStar and micro-grant guidelines and expectations as outlined by the policies of the Department of Children and Families and the Micro-Grant Program at SFTA. 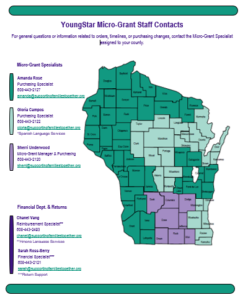 Any questions may be submitted to the Micro-Grant Program directly, using the appropriate contact person in the map provided above, or through a program’s Technical Consultant. 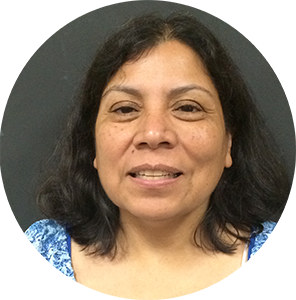 How Can My Child Care Program Use Our Micro-Grant? If you are looking for guidance on how to best use your micro-grant for your program, a good place to start would be to take a look at the recently updated Micro-Grant Handbook (also available in hard copy at your local YoungStar office upon request) and at the YoungStar Incentives FAQ for Providers. 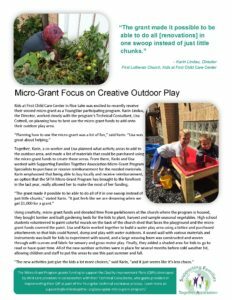 The Micro-Grant Tip Sheets below also contain suggestions and ideas for the best use of your micro-grant funds. Programs can use micro-grant funding for things such as accreditation cost reimbursement, training and education for professional development, staff or substitute time to support quality improvement work, services such as contractors/builders or additional technical consultation hours, the purchase of equipment and/or materials that strengthen the learning environment and curriculum in key areas identified in a program’s QIP, and more. 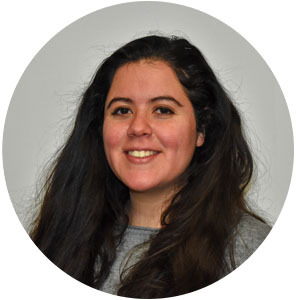 YoungStar programs that actively participate in technical assistance can use micro-grants to support Registry fees if professional development is a focus of the QIP. Speak with your Technical Consultant or someone from the Micro-Grant Program if you are unsure whether you can use your micro-grant towards a particular item or activity, or review the micro-grant purchasing matrix. The Vendor Discount Structure sheet, contains further details regarding the above vendors and the discounts they offer, as well as exceptions for requesting items that are not from one of these vendors.